Nick’s Notes: This was supposed to go up a week ago but I was having some WordPress issues which are now (mercifully) fixed! Given that I was busy with dog sitting for over a week in May, I still think I published rather frequently and made some good and varied content. I’ll be dog sitting this month and for a similar amount of time so we’ll see how that affects things, but it shouldn’t get in the way of writing too much, if last month was any indication. I’ve had no real progress on my Patreon for a while and I’m thinking about how to better establish myself and get more Patrons. I’d really love to do a podcast once a month (maybe bi-weekly?) but I am not getting the funds per month to feel justified in doing this (around $25 as opposed to $50). I guess one thing I could do is advertise my Patreon more often on other platforms (Facebook, Youtube, Twitter, etc.) and produce more content. On the other hand, I already produce so much content for free (poetry (usually on my Facebook), music, the occasional essay) that it seems like it could be a losing game to try and just produce more. It reminds me of the liberal argument that we just need to “throw more money” into education and that will somehow make things better. Maybe I don’t need to work harder but smarter? None of this is to say I’m not extremely thankful for the steady support I’ve gotten over the past few years now. Y’all who have supported me now or in the past are wonderful and I try to take at least one post a month to say thanks. But I also would love to expand on this site and try to do more and interesting things in a given month. This month I tried to do that by taking some reader requests and that was great, so maybe I’ll do more of those in the near-future! Truth be told I could do a podcast, but financially it just doesn’t seem worth it. It also seems to cheapen my Patreon if I’m giving the rewards I promise at a certain tier level…but I’m only half-way there (and living on a prayer?). Regardless, last month was fantastic and let’s take a closer look to see how fantastic! 12 posts were put on the site in May, which is a 3 post increase from April! 11 of which were all original article by Yours Truly! So that means I not only brought it back up to 10 posts like I wanted to last month but I actually surpassed that goal! By conservative estimates, I wrote around 15,000 words! For May, I wrote more articles compared to April but they tended to be a bit shorter so it looks like I evened out. For most popular articles, “Why should I care about Abolishing Work? I have a Job I Love!” hit over 100 views. The article on the CIA and sabotage hit a little under 100 and a surprise return of RAW’s essay on the RICH economy at a little under 90 views. In May Abolish Work had over 2,300 views and over 1,200 visitors! This was 700 and 500 less than last year but I also wasn’t getting some great referrals like I did last month. For me, this is still a great turn out! Speaking of referrals, search engines continue to dominate at a little over 600, while Facebook had a little over 150 and 140 on Reddit. I had an average of 85 views per days which is pretty great! The US gave me over 1,300 views, the UK gave me 181 and good ol’ down under continent (that’s Australia, for those keeping score of my horrible stereotyping) was 93. Australia actually gave me a few more views than Canada which is pretty impressive. Nice work, Aussies! 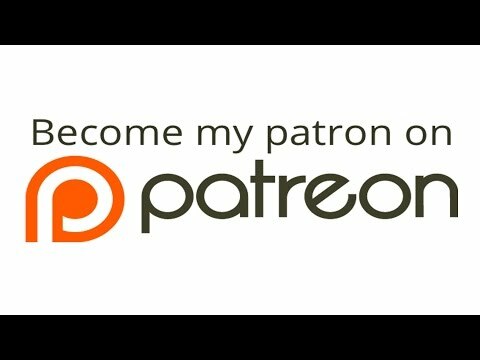 In between the writing of the beginning of this post and the end, I decided to pin my Patreon to the top of my Twitter. I am not sure how much good that will do, but hopefully it will get a few more people to notice that they can pay for my content if they’re interested in that sort of thing. I’d love to do this more full-time, pursue other writing projects, do a podcast in addition to the music I’m making and poetry I write, but it’s just not feasible right now. But if I can get more folks donating per month I can not only keep writing but add different content to this site. I hope that eventually I’ll be able to at least get some feedback on how I could get more donors. Ultimately it’s likely my own personal reticence in donating to other causes and other people on Patreon. So I suspect it’s at least partially my responsibility with regards to my lack of advertising and my lack of networking. I need to work on both of these things. In the meantime, if you’re an already-existing patron then know that I appreciate your donations, big or small! And if you’ve got to (for whatever reason) drop out at some point then that’s completely fine too. My content on this site is free and I don’t see that changing anytime soon. Most importantly, if you’re a patron and want to see my work grow, feel free to share this site and my Patreon around! I’ll try to do it myself, but one of my current barriers is I’m never sure where it’s socially appropriate to do so. Speaking of my wonderful current patrons, big thanks to Leslee, David, Abe, Eben, Paula and Jamie! Happy slacking in this (upcoming) Summer and beyond!